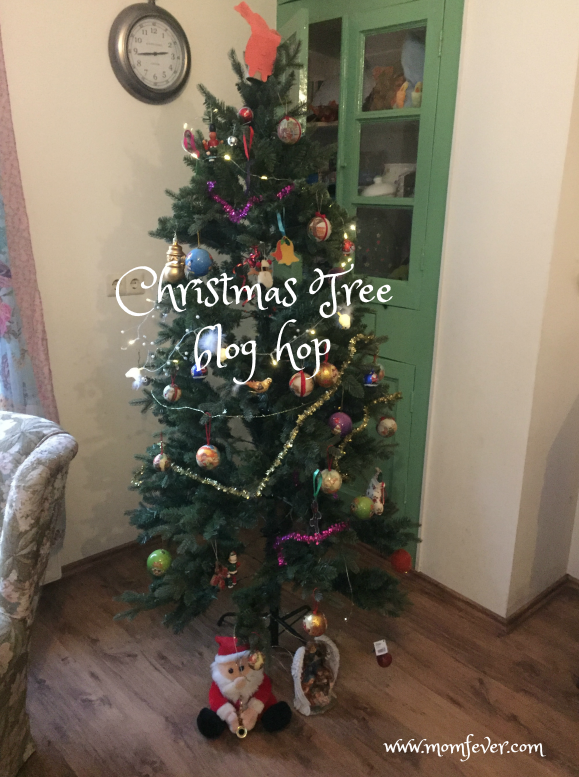 My Christmas tree's dirty little secret + Christmas tree blog hop! When it comes to decorating our Christmas tree, I prefer a relaxed method. So I just kind of throw all our ornaments into the tree and hope for the best. Then I add some lights, and take a step back to ponder the result. And usually I see that it is good. I don't care that there's a knot of tangled christmas lights I couldn't be bother to disentangle at the back of the tree. Because after all, it's in the back. So who's gonna know?! I'm the only one who know this dirty little secret. And I'm nót gonna tell. Our Christmas tree is down to earth. It doesn't pretend to be something it is not. Like a real tree. It's fake. And it doesn't try to hide it. I like that in a tree. So, now onto the Christmas tree blog hop! Have you got a Christmas tree? Take a picture and share it in the blog hop! This post was featured by Syncopated Mama. Thank you very much! After contemplating buying a artificial tree and going against gut instincts I bought the live tree.... well it had to come down early because it stopped drinking water and dried out. Fire hazard!!! Wont do that again. Looking for deal. What a fun post. I look forward to seeing everyone's trees. I go with artificial and I have a hodge podge of ornaments.